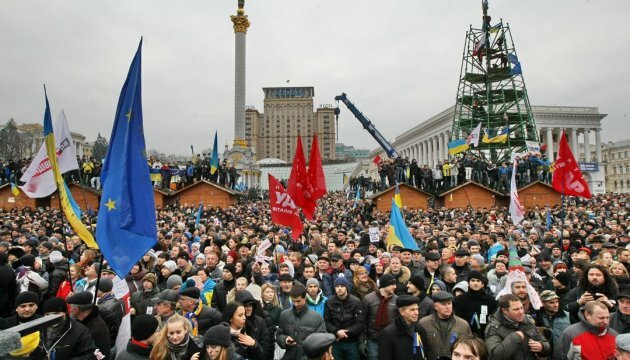 Ukraine can expect a third Maidan in the form of social revolution in the near future, human rights activist and head of the "Institute of Republic" NGO Volodymyr Chemerys told a press conference organized at Ukrinform on Tuesday, Ukrinform reports. "Despite all the previous Maidans [revolutions], when people demanded changes in the system of socio-economic and political relations, this system has not changed yet. So we can expect a social explosion in Ukraine soon, and it will be an objective one," the human rights activist noted. He said that Ukraine has developed a "system of oligarchic capitalism", and the socio-economic problems of people have not only been left unresolved, but rather they are getting worse. Therefore, if this social explosion occurs, it will, according to Chemerys, most likely "not be peaceful".